Nancy Klock Corey has been working in real estate her entire career. 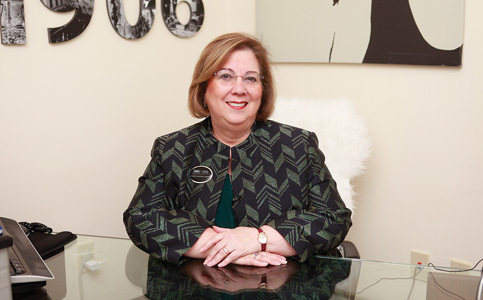 She joined the Coral Gables office of The Klock Co. Realtors as a receptionist. Her parents, Joe Klock and Mary Dot Klock, owned the company then. Today, Ms. Corey is the regional vice president of the Coldwell Banker Residential Real Estate’s Southeast region, where she oversees operations for 20 branch and satellite offices. She also helps lead the company’s Miami Beach office. The general economy seems very strong to Ms. Corey right now. She said CBRRE indicators show the real estate market will be very strong through 2018. Passion, drive and persistence are the qualities that make a good real estate agent; it’s not just a job, she said. Miami Today reporter Susan Danseyar interviewed Ms. Corey in her Coral Gables office. The interview was recorded by Jahmoukie Dayle, and can be found at http://bit.ly/2uNHy0Q.